The 18th Amendment which outlawed the manufacture, sale, and transportation of alcohol was ratified on January 16, 1919. The amendment was passed with the belief that by banning alcohol many of the negative aspects associated with drunkenness would be removed from society. For this reason, many Protestant religions embraced the cause of Prohibition in the late 1800s and early 1900s. However, the Catholic Church in America was less willing to take a firm stance on the issue of outlawing alcohol. This is because the prohibition of alcohol was seen as a political position as it did not have definite moral imperativeness. With no firm yes or no from the Church, Catholic individuals and organizations supported a range of stances on whether Prohibition should be made legal. When prohibition laws were being passed at the state level, many of those actively opposing their passage were Catholics. For instance in Iowa, Catholics made up over half of those who voted “no” on the referendum on the outlawing of alcohol. 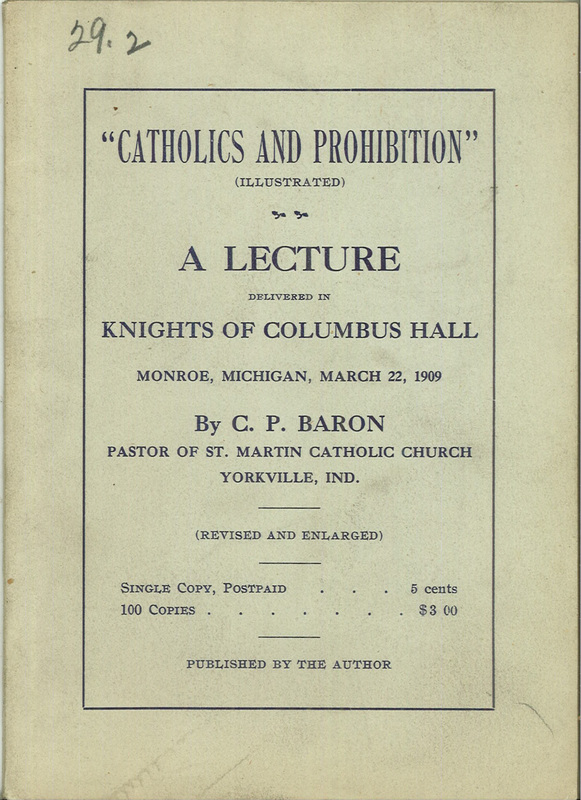 Church leaders, such as Cardinal Gibbon of the Archdiocese of Baltimore, voiced concern over Prohibition because it infringed on “the liberty of the individuals” and would result in “secret and illicit manufacture and sale of bad liquor.” The newspaper, the Catholic Standard and Times, was also a vocal opponent of prohibition calling it an “un-American invention” and stating that “logic…is foreign to the typical advocate of Prohibition.”  One major reason for Catholics’ widespread opposition to Prohibition was their belief that it was just a move by Protestants to outlaw Catholicism, since wine is a necessary part of the Mass. Indeed, it was only through lawsuits in states with “bone-dry” laws like Oklahoma did Catholics preserve the right to obtain and use altar wine. However, this does not mean that Catholics were always in favor of alcohol. As discussed in a previous post, the Catholic Total Abstinence Union (CTAU) was a large Irish Catholic organization focused on encouraging the public to abstain from all alcohol. Despite their opposition to individuals drinking, many within the CTAU did not believe prohibition was the solution to end alcohol consumption. 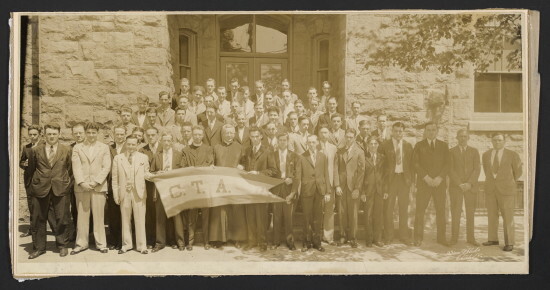 The CTAU of Philadelphia was one of the major opponents since they believed it was more important to affect change by moral suasion than through law. 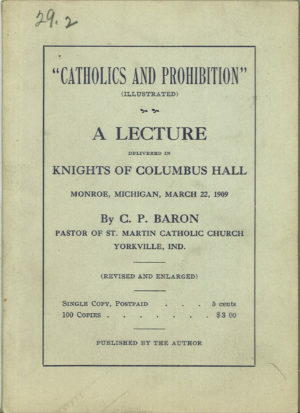 Indeed, after the passage of the 18th Amendment, the Catholic Total Abstinence Union believed Prohibition would be ineffective without their continued work to change the public’s sentiments on alcohol. While the 18th Amendment did not protect the use of altar wine, the Volstead Act, which enforced Prohibition, did grant these safeguards. However, Prohibition soon faced problems such as the inability to enforce the law and an increase in organized crime. These difficulties led to a loss of support for Prohibition, which resulted in its repeal on December 5, 1933 with the ratification of the 21st Amendment. Michael deHaven Newsom, “Some Kind of Religious Freedom: National Prohibition and the Volstead Act’s Exemption for The Religious Use of Wine,” Brooklyn Law Review, vol. 70, issue 3, 2005, 746. 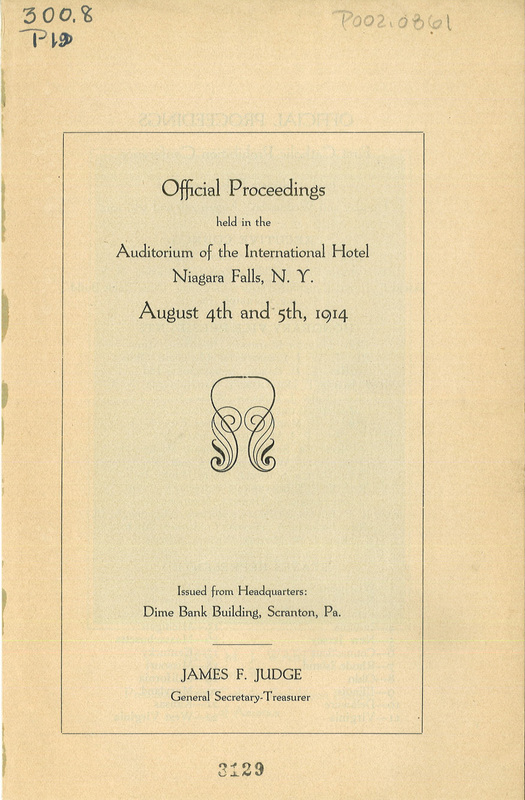 John A Ryan, Prohibition: Yes or No, (New York: The Paulist Press), 1. Thomas Ryan, “Supporters and Opponents of Prohibition,” The Annals of Iowa, vol. 46, no. 7, Winter 1983, 517. Paul Blakely, “Prohibition, the Cardinal and Billy Sunday,” Catholic Standard and Times, 02/08/1919, 8. Catholic Standard and Times, 07/19/1919, 4; Blakely, “Prohibition,” Catholic Standard and Times, 02/08/1919, 8. Newsom, “Some Kind of Religious Freedom,” 812. “Temperance Union Urged to Fight Liquor Question,” Catholic Standard and Times, 10/2/1920, 3. John Quinn, “Father Mathew’s Disciples: American Catholic Support for Temperance, 1840-1920,” Church History vol. 64, no. 4, Dec. 1996, 635. 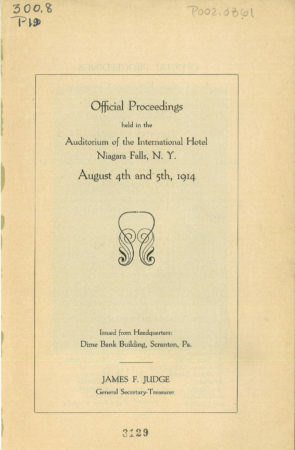 Proceedings of the First Conference of Catholic Favoring Prohibition, (Scranton: 1914), 5.